Are you currently facing any of these situations and need to sell your house? Have a Property That Needs Too Many Repairs? Are You Behind in Your Payments or facing Foreclosure? Have an Inherited Property You Don’t Need? Are You Tired of That Rental Property? Do You Have A Vacant Property Your Wasting Money on? Ready to Retire and Don’t Want to Mess With Listing the House? Do You Have Some Tenants or Family You Can’t Get Out of The House? You probably answered “yes” to at least one of these questions, and would like to see if you should sell your house to an investor, or sell it through a realtor. If you are in one of the situations described above, then you probably are a good candidate for American Home Buyer. 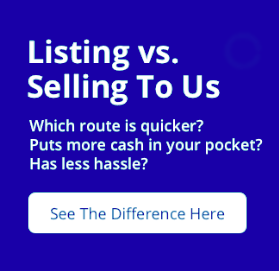 It’s really pretty simple: let us make you our best cash offer… its easy, quick, free, and no obligation… then YOU decide if we are your best solution. American Home Buyer has bought hundreds of Houston Area homes in all the situations described above. We are specialists in handling Probate, Divorce, Foreclosure, Tax Liens, and we have cash. Cash can cure a lot of Problems! Further, we love fixing-up homes. The worse the condition, the better the opportunity for us to remodel and update the home. 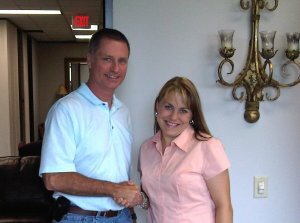 We buy homes with Flooding, Fire Damage, Foundation Issues, Water Damage, Mold, etc. If you have a home that needs a lot of work you don’t want to handle, then we may be the perfect solution for you. This is really a simple solution to a very complex problem. If we buy your house, all you have to be concerned with is moving out and vacating the property… and you don’t even have to clean it up or get everything out to sell to us. We will help you through every step of the process, and make sure you get the resolution you need. In fact, if you want, you can sell your house Today! So, all you have to do is fill out the form below or give us a call. We will work on your schedule to come out and look at the house and make you our best offer. It will be a guaranteed cash offer. There will be no obligation on your part.. you decide-when you’re ready- if this is a good solution for you. Oh, and we do not have pushy sales people and never try to coerce you into something you don’t want or need. Our team is professional, courteous, and respects your privacy. We have been doing this in Houston for over 18 years now- visit our “Who We Are” and “Testimonial” pages. If you have any questions, please just give us a call at our office here in Houston. We have professional staff ready to answer your questions. You can also read more on our FAQ page. Remember: No Fees, No Pressure, No obligation.